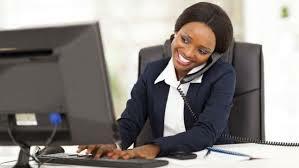 Working with lawyers and paralegals, preparing documents and proofreading legal correspondence, and taking care of all other things secretaries typically respond for, legal secretary is a wonderful position. You do a bit more and earn a bit more than a typical corporate secretary. And you get a good idea of the legal business, make new connections, and can possibly even use this job as a springboard to your own career in the field. It doesn’t sound bad, does it? But there is also bad news: This is a popular job title, and since applicants do not need any formal education other than a high school diploma, you will typically compete with many people for the job. How to make a grade? How to stand out in your interview? We will try to find the answers in this article. How would you cope with an angry customer/client/guest? Would you mind working overtime? Obviously, experience helps. If you have some experience with legal documents, such as subpoena, summon, motion, etc., you will earn a few extra points in the interviews. Your answers to their questions, whether you can convince them of your motivation, skills, and right attitude to work. How they feel with you in an interview. If they like you as a person, if they enjoy imagining to work with you on a daily basis, basically if the chemistry works, your chances to get the job will improve a lot. How you fare in a practical test. It is not uncommon to see legal professionals testing the job applicants right in the interview. For example they will give you sheet of paper with some data and ask you to retype it to MS Word, or other Word Processor. Or they ask you to proofread a certain document. Will you spot the mistakes? How long will it take you to complete the task? Summarized and underlined, success (or failure) in an interview for a legal secretary job depends on a variety of things and factors. The better you prepare for each challenge, the better your chances of succeeding will be. Let’s have a look at some questions. Note: The following lines were taken from an eBook called Secretary Interview Guide, written by Mr. Gates. Hint: This is typically the first question in a job interview. Answering it well will help you to feel relaxed. Interviewers use the question to break the ice, and to get some idea of your communication skills. It also helps them to see what you focus on in your life – family, work, education, the past or the future… since we typically talk first about things that matter the most to us. You should focus on work related things in your answer. That means what you do, what you are good at, what you have done before, what are you looking for in your career and this particular job of a legal secretary, etc. Hint: You should always have some goals on your mind, though it is not easy to find any major accomplishments in the profession of a secretary. But you can focus on small things, or everyday achievements, such as helping the workflow, helping the reputation of the company (with your excellent customer service and professional conduct in work), maintaining good atmosphere in the workplace, etc. Simple everyday achievements that can make the difference for the entire business. Hint: Career change or job change is a part of life. Employers understand that, but they want to know the reasons why you want to make a change. Hint: This is a tricky question, as your answer reflects what you expect from the job, as well as what you are willing to do. You should actually think about it for a couple of minutes, trying to write down a list of duties a secretary carries out in their company. Hint: Secretaries meet with all kinds of people. Angry clients simply belong to this job, and a good applicant should count with meeting them. Tell the interviewers that you would stay relaxed, and that the angry behavior would not distract you in your job. If you already have a similar experience from the past, you can narrate it, explaining how you dealt with an angry customer/client/guest before. Hint: If the interviewers ask you about your ability to work overtime, or on Saturdays, typically it means that you will be supposed to do that in your job. I suggest to say that you would not mind, adding that you understand it is necessary sometimes. You can elaborate on it explaining why you would not mind. For example if you do not have a family yet, or if your partner works long hours each day, you can say you have no reason to hurry home. On the other hand, if you would mind working overtime, you should tell them why. In such a case, try to stress that you’d do your best to finish your work in time every day. And if that wasn’t possible, say you would occasionally agree to stay longer, or take the work home, and work on things in the evening. Try to show some flexibility in your interview, so they see you are willing to make some sacrifices for the employer. This was a brief analysis of six interview questions from secretaries, from an eBook called Secretary Interview Guide. Check the book for an in-detail analysis of twenty most common interview questions for secretaries, and for multiple sample answers to each question. Thank you. * Note: This post is a sponsored guest post, which was edited and approved before publishing on InterviewPenguin.com. Legal interview questions – applying for a job in a law firm? Learn what to expect and how to make a great impression.